This trunk was designed for the University Of Louisville to hold various cloth items used before games. The trunk interior is lined with .125” thick white HDPE plastic laminated to open cell PE foam. The plastic lined interior allows for easy cleaning and water resistance. The usable interior dimensions are 39.25” wide x 23.25” deep x 24.25” tall. The trunk is built from LM Cases’ proprietary 1/2” thick composite panels laminated with red fiberglass exterior. 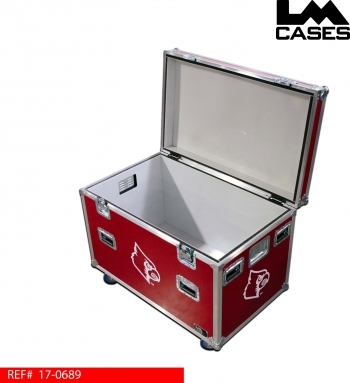 The trunk exterior also features recessed vent dishes, deep recessed handles, stacking caster wells, 4” Colson casters and 5 prints of the University Of Louisville logo. 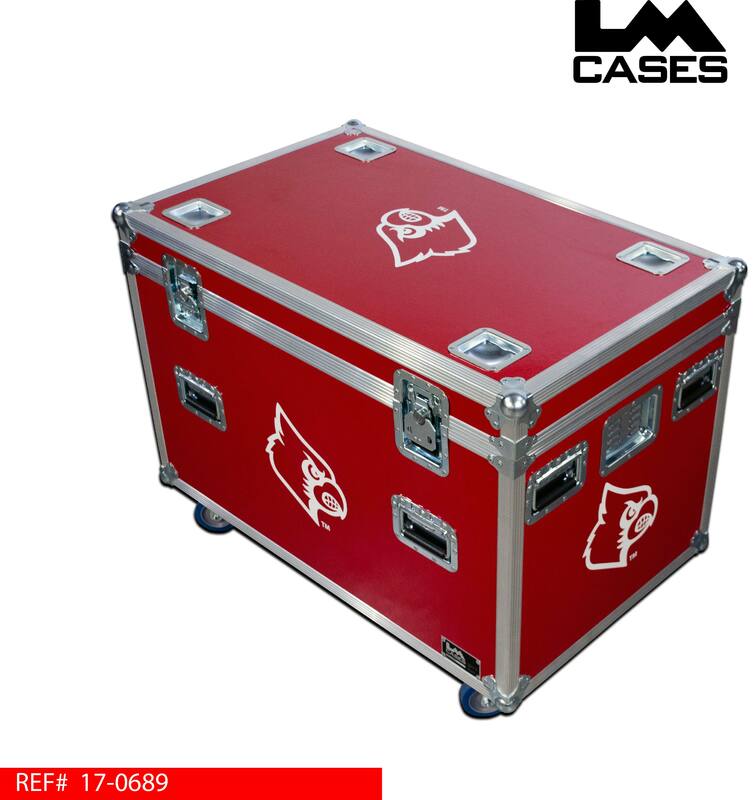 Special thanks to the University Of Louisville!